Wolfgang Pusztai is a Security & Policy Analyst. He was the Austrian Defense Attache to Libya and Tunisia from 2008 to 2012. Tunisia – Fertile Ground for Terrorism? Last week, Tunisia was –unsurprisingly– hit again by a terrible terrorist attack. At least 39 Tunisians and foreign tourists were killed when a jihadist killer stormed the beach of two luxury hotels near Sousse in the heart of the country’s historic tourist zone. Without intervention unresolved socio-economic issues will continue to provide targets vulnerable for exploitation by terrorist groups. 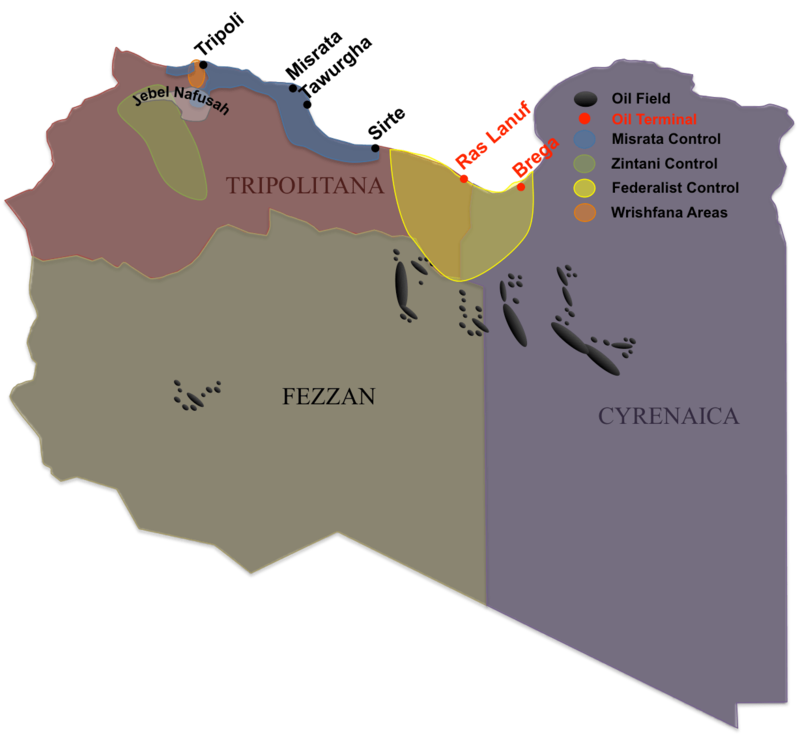 Since the Jasmine Revolution in 2010-2011, the security situation in Tunisia remained quite calm but somewhat fragile until the summer of 2014. Apart from the Bardo Museum attack in March, several locations throughout the country were targeted by terrorist actions and social unrest. Violent attacks occurred in Kasserine/Mount Chambi, El Kef, Sidi Bouzid, Tozeur, and Gafsa in the center and south of Tunisia, as well as Jendouba in the north and the Sfax along the central coast while increasingly active Salafists exploited minor riots in the southern towns El Faouar and Kebili. After the Bardo attack, Tunisia’s security forces took the initiative and apprehended or killed dozens of Salafi jihadists. While these actions achieved measures of localized success, they were not enough to defeat terrorism in the country. Tunisia possesses many of the necessary requirements to serve as a positive role model for the other Arab Spring countries. This became apparent through the ratification of a modern constitution as well as successful presidential and parliamentary elections held in 2014. Despite this progress the country is not yet “over the top”; a fact frequently ignored by the West which is too happy to declare the triumph of democracy. Although the tragic Sousse massacre served as a wakeup call no one wanted to hear, the economic situation in Tunisia provides a fertile environment for discontent. Unemployment, a lack of foreign investment, labor pressures, and threats to tourism will increase social problems exploitable by radical Islamists. The root cause of Tunisia’s current problem is a socio-economic situation that remains problematic four years after the revolution. There is wide developmental disparity between the coastal areas and the interior hinterland. Though the Tunisian government is using its limited resources to improve this situation in neglected areas like Gafsa, Kasserine and Sidi Bouzid (where the revolution started), the people there are –understandably– very impatient and the results have been mixed. In 2014, official figures said job seekers made up 15.2% of the 3,950,000-person workforce; an increase from 13.3% in 2006 though actual figures are probably higher. Unemployment among youth (those 15-24 yrs) is at 42.3% while about 35% of the country’s university graduates lack jobs. In the neglected areas of the hinterland these figures are significantly higher. In some areas more than 50% of the young population is unemployed. By some estimates, Tunisia requires a 6% annual increase of the GDP for several years to achieve stability but this remains highly unlikely. Forecasts fall far short of that goal, ranging from +2.8% to +4%. What seems certain is the gap between available jobs and job-seekers will unfortunately increase for the foreseeable future though having a job in Tunisia is not an end to trouble. Even those Tunisians that are employed are coming into increasing conflict with their employers. Labor unions often stir up conflict with employers and between each other for their own gains. Fortunately, the most important union, the “Union Générale Tunisienne du Travail” (UGTT; Tunisian General Labor Union), has been playing a positive role in most of the conflicts. Taken alone, these statistics appear daunting but the problem is further complicated by a significant decline in foreign direct investment since the revolution. 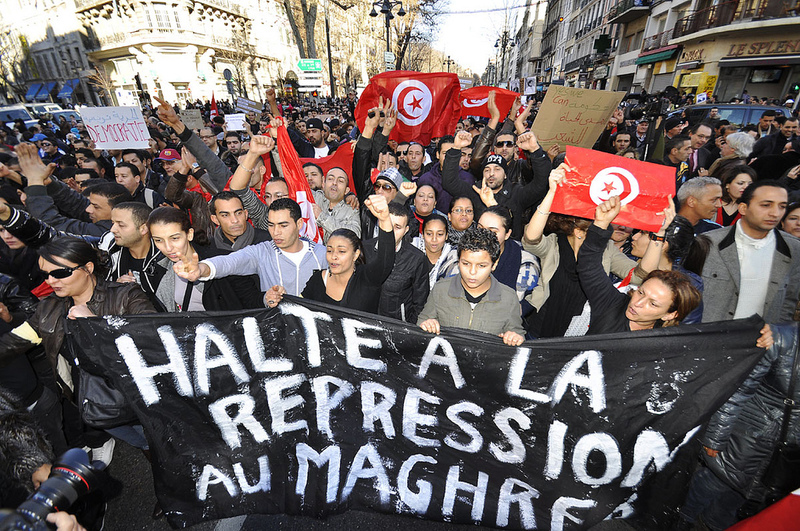 Furthermore, Tunisia´s economy suffers heavily from the uncertain economic situation in Europe as well as from the war in Libya, where nearly 100,000 Tunisians worked before the revolution that overthrew the regime of Muammar Gaddafi. Prolonged regional instability and the continuation of terrorist attacks will retard remittances, discourage foreign investment, and impact the largest sectors of the economy. In 2013 travel & tourism contributed 485,000 jobs (12.3% of the workforce) and comprised 15.2% of Tunisia’s Gross Domestic Product (GDP). Though the estimates for 2014 are slightly higher at 15.5%, tourist arrivals (6 million) are off 13.1% from the 6.9 million that visited the country in 2010. After the Bardo and Sousse attacks all these figures will undoubtedly decrease significantly. Currently, the agricultural and fishing sectors employ approximately 20% of the Tunisian workforce. Of these industries, agriculture poses a very complicated problem as on one side it is a crucial provider of jobs while at the same time it draws heavily on the nation’s very limited water supply. Regrettably, Tunisian agricultural products do not fare well on the international export market. Because of the low quality of production compared to invested resources, many consider this use of natural resources a waste. Another sector requiring immediate reform is the textile industry. Comprised of some 2,094 industrial enterprises employing 10 or more persons, 1,656 produce exclusively for the export market. This sector currently accounts for a quarter of Tunisia’s exports and just shy of half of all manufacturing jobs. However, the future looks bleak as the industry in the face of increasing competition from China, Bangladesh, and other low-cost production countries. Decreasing tourist revenues and stiff competition from abroad in the textile and agricultural sectors drains Tunisia’s foreign currency reserves, putting pressure on the government’s ability to maintain heavy (and increasing) subsidies on basic foodstuffs like bread, milk, and sugar. In 2014, subsidies accounted for a staggering 20% of all public spending (USD $4 billion, up from USD $600 million in 2010). Subsidies of this magnitude create massive incentives for smuggling which reduces the government’s ability to tax commerce, further strains its troubled finances, and erodes social support programs, particularly for the unemployed. With little improvement in their situation since the time of the Ben Ali regime, unemployed Tunisians increasingly compete with up to one million Libyan refugees for jobs and government support. 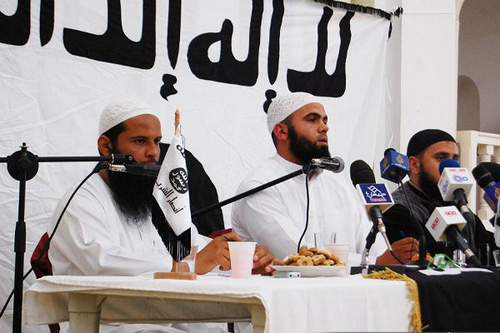 The radical Islamists are firmly entrenched in some parts of Tunisia. With their ranks strengthened by fighters experienced from the wars in Syria, Iraq, and neighboring Libya, terrorist cells recruit sympathizers and fighters by exploiting the grievances of the population in the neglected hinterlands. Once armed and trained, it doesn´t really matter to which specific group the terrorists belong. The various Salafist jihadists are “coordinated” through a common ideology and vision of a fundamentalist Islamic State based on the Sharia. This commonality provides a “good enough” guideline for their distributed activities while the porous borders and chaotic situation in Libya will provide access to inexhaustible stores of weapons and ammunition. The Salafist jihadists are aware that a military victory is not realistic at this time. As a result, their immediate objective is the establishment of “resistance pockets” in remote areas such as Jebel Chaambi. A consolidation of their rule and an enlargement of the controlled territory will follow. As their territory expands, they will terrorize the population and enforce a strict application of the Sharia. While some groups focus on militant actions, other groups like Ansar al-Sharia serve a complementary function by engaging in charity activities to show care and concern for the needy among their followers. Despite the odds, Tunisia is not a lost cause. There are signs of hope as well as many positive factors in the country. Tunisia has high levels of education, a strong civil society, close military links to the West (particularly with France and the U.S.), and an open-minded coastal population eager to integrate with other nations. After the 2002 Djerba/Ghriba synagogue bombing in 2002 (21 killed) the number of financial strong visitors decreased by about one million. This time it will be worse.